Instagram-obsessed Millennials crazy for sunflowers inspired one of the four winning proposals from last weekend’s regional tourism StartUp run by the UNE SMART Region Incubator in Tamworth. During the course of the workshop she took the idea of planting a sunflower maze and, with the help of mentors and experts, developed it into a full-blown proposition. She had been struggling with how to turn the 2260 followers of her Sunflower Alerts site into a tourism venture that could bring all-important dollars to the Quirindi region. “We have the closest sunflowers to Sydney and, en masse, they attract hundreds of young people who want to photograph them and be photographed amongst them,” Nikki said. “These people are part of a demographic who don’t generally visit regional Australia and they are active bloggers, Instagrammers and influencers. 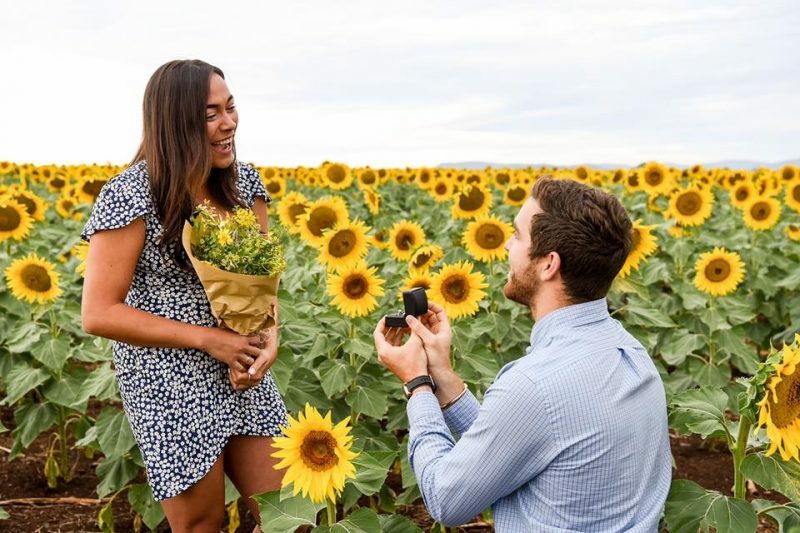 “Every year we get at least one man wanting to propose to his girlfriend in a field of sunflowers; it’s been absolute madness. But farmers don’t like people coming onto their private property and trampling their paddocks. They also rotate their crops and fewer sunflowers are being grown each year. Nikki’s sunflower maze idea won the people’s choice category in a line-up that featured strong nature and technology proposals. The overall winner voted by a panel of regional tourism and business experts was Emily Bowman, who would like to develop a rail trail between Tamworth and Barraba. Judges also commended UNE PhD candidate and technical officer Michael Price, a systems engineer, for his idea – a platform that integrates blockchain and geospatial data to allow businesses to organise and track their transactions with customers. “It’s a contract-based system that enables regional business to have transactions with customers without the need for a bank,” Michael said. “They could use it to develop loyalty rewards or tourist dollars that customers can redeem with other participating businesses. In this way they can recognise, incentivise and reward their customers. All four winners from the event, supported by Tamworth Regional Council, will now receive mentoring and support from the Tamworth incubator’s staff to develop their ideas.